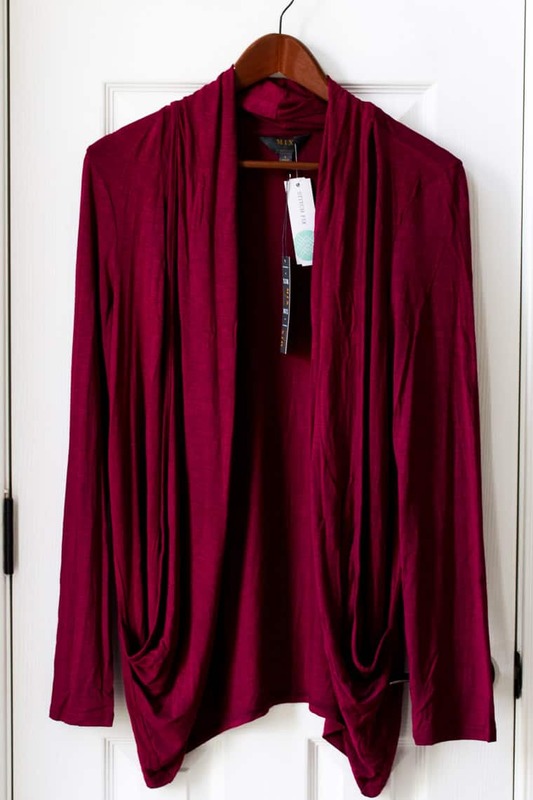 For this October 2018 Stitch Fix review, I requested more pieces to transition into fall. 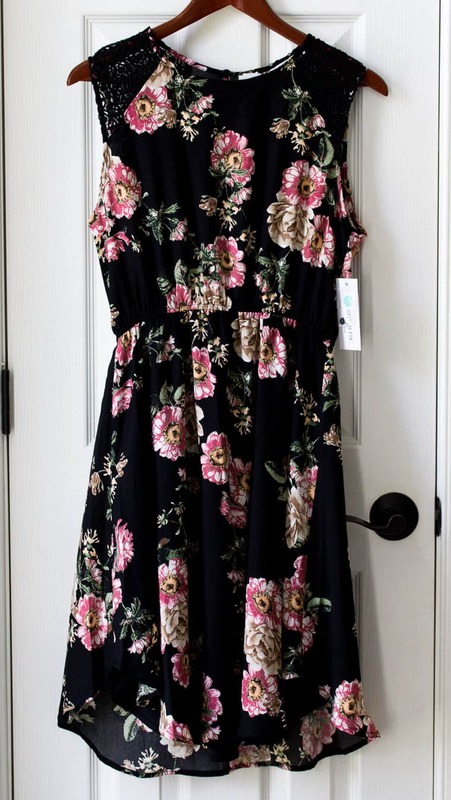 I asked for floral dresses, lightweight cardigans, a jacket, and more! This post contains affiliate links, should you make a purchase through a link, I may receive a small commission at no additional cost to you. See our Disclosure Statement more more information. 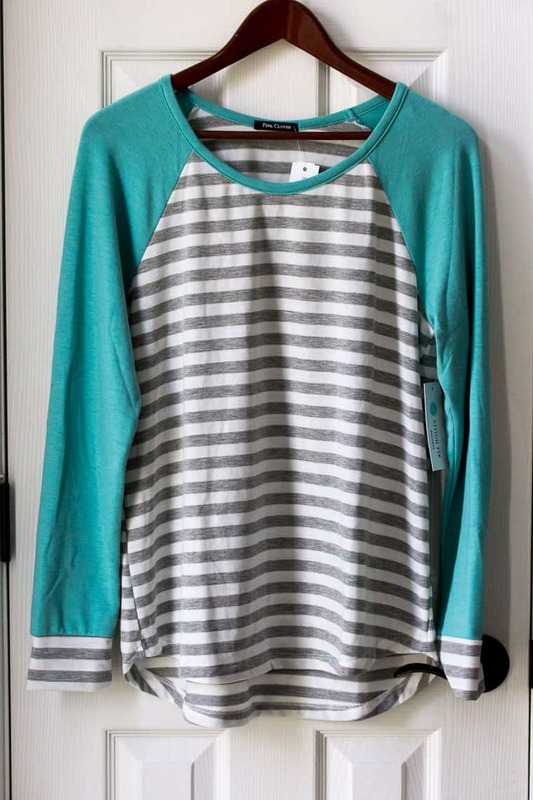 This is my second fix from Stitch Fix to start transitioning into fall clothing. I did get a box last month, but only kept a cardigan. For this October fix, I had the same stylist. She really does a good job trying to send me a little bit of everything that I ask for. For this fix I, once again, requested clothing that would be great for fall. I requested more casual items for all days I’m sitting sidelines on the soccer field, as well as a floral dress to pair with lightweight cardigans, and a jacket. I also specifically mentioned a few brands that I’ve seen others getting and would love to try myself. Before we get into the items that I received, here is the run down of what Stitch Fix actually is, how it works, and how much is costs. I like this dress, but I don’t love it. Dresses with elastic waists like this don’t always look great on me. I felt this one made me look really wide, but with a cardigan that was completely unnoticeable. While I am still on the fence as to whether or not I will keep this for myself, I did purchase it since it was basically free with the 25% discount. Another great cardigan for fall! It’s lightweight and loose fitting. It looks great with dresses or with jeans and a tee! For only $38 (before the discount! ), this is really great quality and I can see myself wearing this one a lot! Pink Clover was one of the brands that I had specifically requested. While this shirt is really cute and super soft, it just feels more like something I’d wear to bed rather that out and about. I made sure to mention that in my notes since I did end up buying and reselling this shirt. LOVE. I can’t even describe how incredibly soft these pants are! 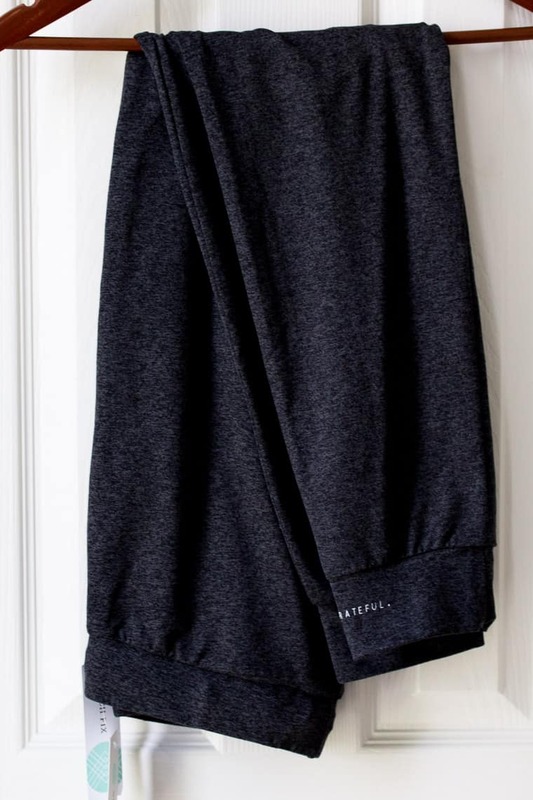 I have mentioned I would love a pair of joggers for quite some time so I was super excited to get them and even more excited that they were from Good HYOUman. 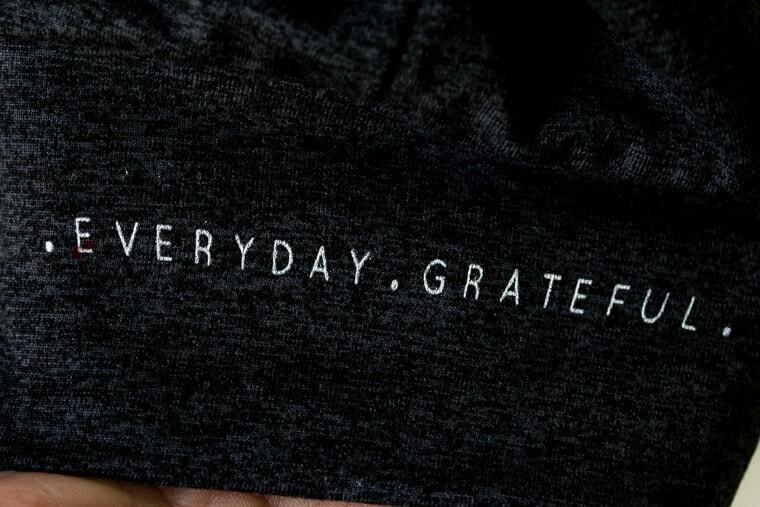 There is a cute little inscription at the bottom of one leg too! I was hoping for one of the dark pink jackets like this, but had a feeling I’d get green. I don’t have a proper jacket for fall or spring and this one is perfect! It was a cute navy and white striped lining inside, a zipper, buttons, and a tie! The only thing missing is side pockets, but I figure I can just use the front ones if needed. 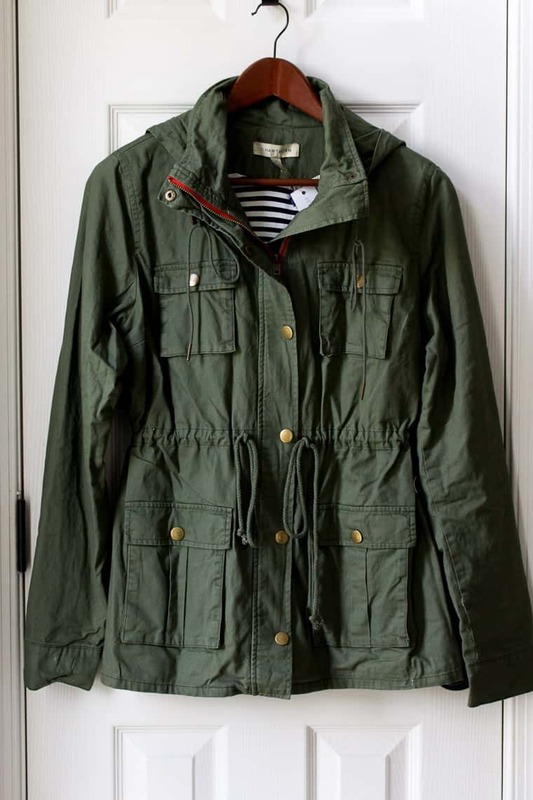 We are planning a trip to the Pacific Northwest next year and I think this jacket will be perfect for that as well! Overall, I feel my stylist did a great job sending me a little of what I asked for. I didn’t love every item, but I did appreciate her taking my requests into consideration when she made her picks. The total for everything was $326.00. I did receive the 25% discount of $81.50 which brought my total to $244.50. I do feel the price of the jacket was quite high, but it is really well made and heavier than it might look. The joggers are also a little pricey, but in my opinion they are definitely worth every penny! 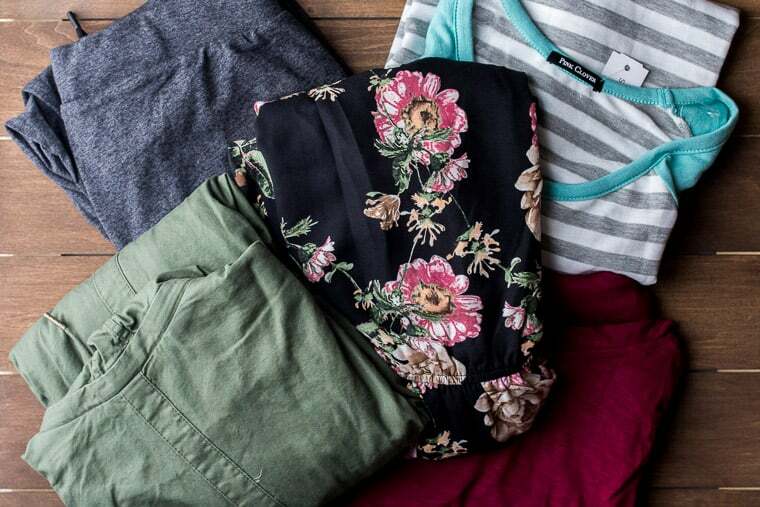 How Can you Try Stitch Fix? 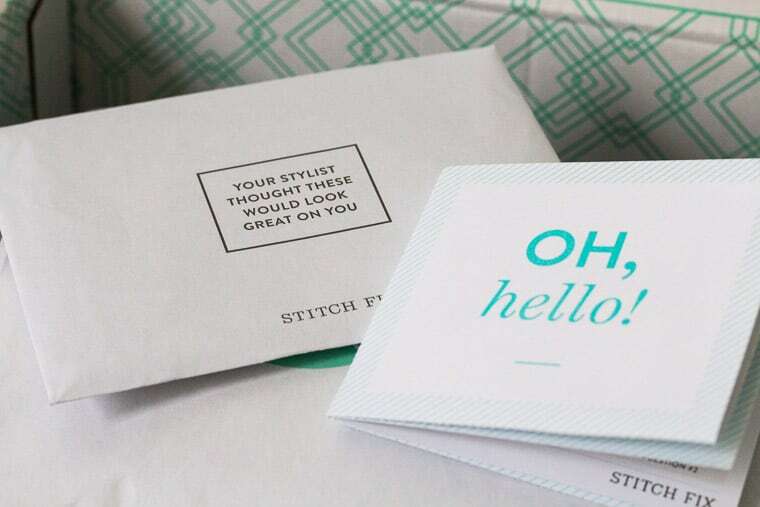 If this October 2018 Stitch Fix Review has you ready to try Stitch Fix for yourself, you can do so HERE! Make sure to be super specific about items you’ve seen and love. I would also definitely recommend linking an up-to-date Pinterest board that has Stitch Fix items you would love to get!